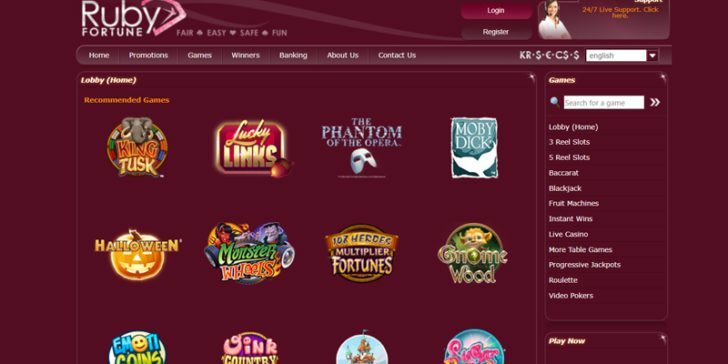 Ruby Fortune Casino is member of the popular Palace Group. The casino has been running for more than half a decade now, grabbing a Best New Casino award when they opened in 2003. This casino supplies over 350 top-quality games, all with excellent graphics and sound effects. The casino’s game list is impressive, offering all kinds of games ranging from table and card games to slots and video poker. For players who are looking for a change from their usual games, they also offer attractive parlor games like Keno, Casino War and Scratch Cards. 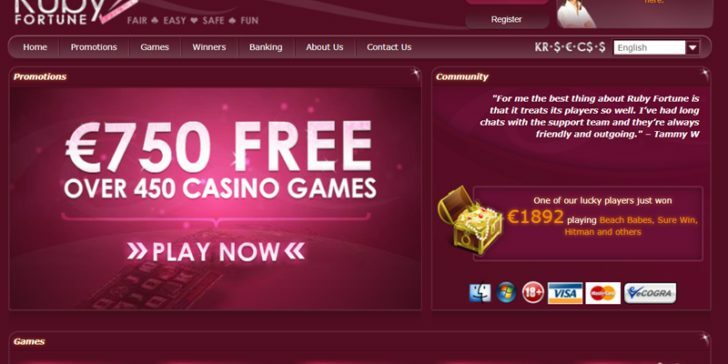 The Microgaming-powered software downloads quickly, and is easy to set up and use. New players get an hour to spend with a $750 freeplay when they sign up for a new account at Ruby Fortune Casino. This is a no-obligation bonus and players get to keep up to $100 of their winnings at the end of the hour. Players who do not win anything still get a $25 welcome bonus, so there’s nothing to lose! The casino offers plenty of other great bonuses too, like their famous $1000 Progressive Jackpot Bonus that rewards any player who wins a progressive jackpot on one of their games.